From infancy to adulthood, Jewish mothers school their children in the art of wooing their future mates, but even the feistiest of Jewish mothers might find it difficult to keep up with the rapidly-changing, multimedia landscape that continues to shape modern, dating culture. 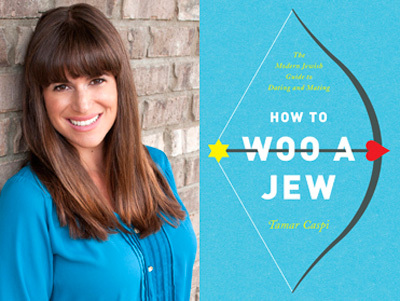 For additional guidance, Jewish singles can now refer to Tamar Caspi's 2014 book, How to Woo a Jew: The Modern Jewish Guide to Dating and Mating. This wooing companion offers one of the first comprehensive roadmaps—from inception tochuppah—for contemporary Jewish dating in a digital age. "Grab some snacks and get comfortable because we are in for a long ride. Internet dating is here to stay," said Caspi, who is a syndicated Jewish dating advice columnist and also JDate.com's official advice columnist and member advisor. "If you're single and not online yet, then you're missing out on thousands and thousands of prospects," Caspi added. Eleven percent of American adults—and 38 percent of those who identify as currently "single and looking" for a mate—have used online dating sites or mobile dating apps, according to a 2013 Pew Research Center study of online dating and relationships. "People in nearly every major demographic group old and young, men and women, urbanites and rural dwellers are more likely to know someone who uses online dating (or met a long term partner through online dating) than was the case eight years ago," the Pew study summary said. In How to Woo a Jew, Caspi offers a nuanced manual for Jewish singles who are journeying through the dating life cycle. "This book is not just for young singles but also older singles, single parents, divorcés and divorcées, widows, and the happily wed, too," Caspi said. Caspi—herself, divorced and newly engaged—begins the book with her own account of love found, lost, and found again. She then profiles six case studies of varying ages and life stages, whom she traces throughout the book. How to Woo a Jew spans advice on self-development, setting realistic dating expectations, shopping for mates online and in real life and tying the knot. Caspi illustrates the art of what she calls "poly-dating," or juggling several prospects at once. Finally, she offers tips for transitioning into long term relationships, tackling relationship milestones such as cohabitation, and finally engagement and marriage. While her focus is on dating and mating, Caspi takes several moments in her book to honor the difficulties of single hood and how to navigate pressures from friends and family—she even provides "An Open Letter to All Moms and Dads of Single Adult Jews." In her book, Caspi is an overt advocate for JDate.com. Her chapter, "No More Hating on Internet Dating," provides concrete, section-by-section advice on how to build the ideal JDate.com profile, along with tips on how to communicate with fellow daters. She also makes no attempt to hide behind her belief that Jews should woo fellow Jews. In fact, Caspi admits she began her dating journey focused on non-Jews, and eventually her priorities changed. "A visceral reaction called attraction brings you toward each other, but you can't build a lasting relationship on just that," Caspi said. "Commonalities are imperative, and the most important one is religion. 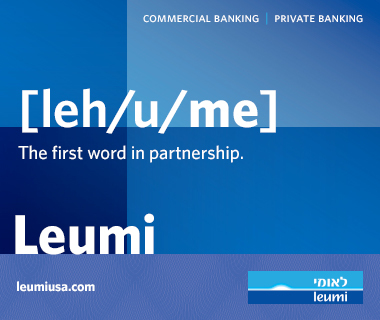 …There is a connection with Jew-on-Jew love that you will be hard-pressed to find with someone who was raised differently," Caspi added. Caspi candidly encourages what she believes to be productive dating behavior, but makes no attempt to pigeon hole readers into one form of religious, moral, or sexual expression. Instead, she merely calls on readers to evaluate themselves honestly and identify their priorities for mates. "Having realistic expectations of yourself and your date are both important mind-sets to have, and with them, you can enter the dating scene with the security of knowing you aren't wasting anyone's time," Caspi said. In How to Woo a Jew, Caspi presents a step-by-step plan for finding, snagging, and marrying one's Jewish soul mate. After doling out advice, Caspi leaves it in the readers' hands to seek out their own beshert—or destiny. "Jews believe that your destiny is already written in the Book of Life, but it is up to you to make life what you want of it," Caspi said.